A British man whose partner died after being exposed to nerve agent Novichok was told by Russia's ambassador that Moscow could not have been behind the attacks because they would have "killed everyone", the Sunday Mirror newspaper reported. "But I didn't really get any answers. I just got Russian propaganda," Rowley said. "The ambassador kept saying the substance definitely wasn't the Novichok they had made because if it was, it would have killed everyone." Dawn Sturgess, Rowley's partner, died in July. 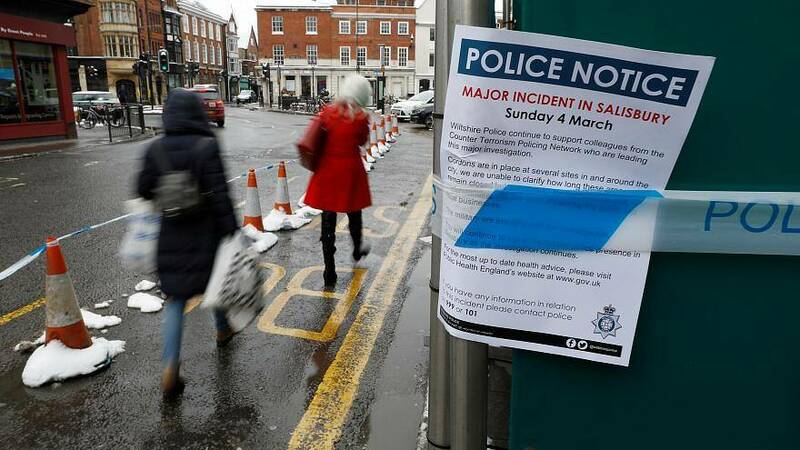 In a statement, the embassy said that Moscow still wanted a transparent investigation into the March 4, 2018 attacks in the English city of Salisbury but accused the British authorities of "hiding the circumstances of the incident". British prosecutors identified two Russians believed to be operating under aliases - Alexander Petrov and Ruslan Boshirov - whom they accused of trying to murder former Russian spy Sergei Skripal and his daughter with a military-grade nerve agent. Britain charged the two men in absentia with attempted murder and said the suspects were military intelligence officers almost certainly acting on orders from high up in the Russian state.